Healthy Apple Dessert or Between Meal Snack – This Girl Loves to Eat! Dessert doesn’t have to be made of ingredients that are bad for your diet! 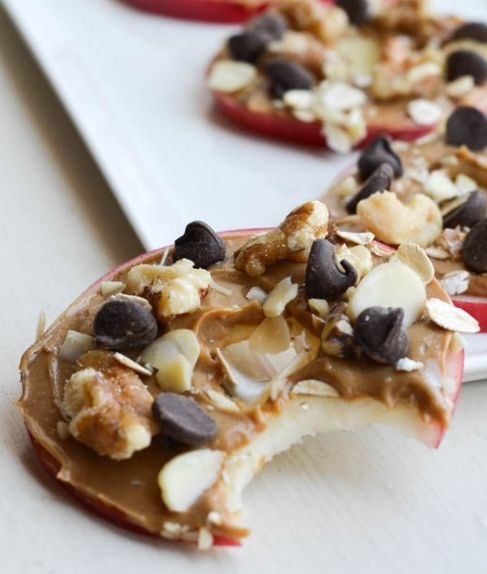 You can take something healthy, like an apple and add some sweet or salty ingredients and it can feel like the most decadent treat without throwing you off of your diet track. Core the apple with an apple corer or melon baller. 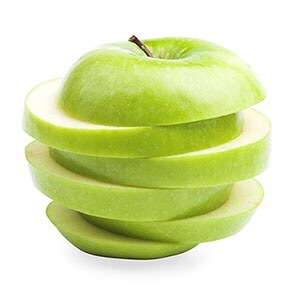 Lay the apple on its side and cut crosswise into 1/4-inch thick slices. Spread a thin layer of peanut butter over the slices. Top with a few chocolate chips, a few peanuts, and a few dried cranberries. Drizzle with thin lines of caramel or chocolate ice cream topping if desired. 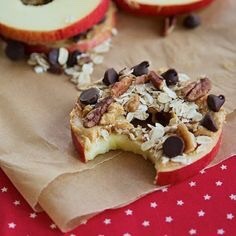 Posted on February 12, 2017 by ls1228Posted in breakfast, Dessert, Fruits & Vegetables, Good For You, Health, Healthy Snacks, Party Food, Quick, Recipes, TreatsTagged healthy dessert, snacks.